I already mentioned it in 'Kaamos'. 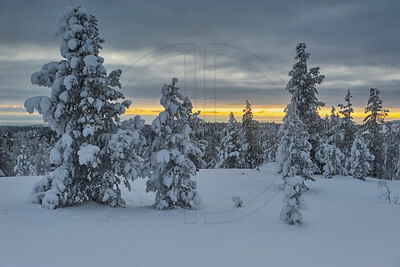 During December the sun doesn't rise above the horizon north of the Arctic Circle. 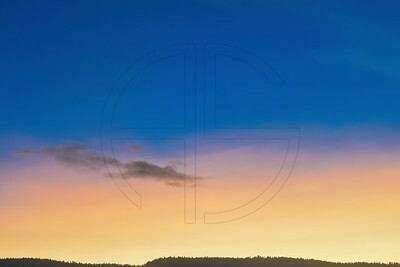 You might still get to see some nice colours during sunrise or sunset time though. I got lucky that afternoon. The sky looked gorgeous when the day ended. Taking the picture was a bit dangerous because I stood right beside the Arctic motorway. There was a lot of honking going on when I composed the shot which was kinda fun. For me at least. An other stormy day. Even worse than the day before. 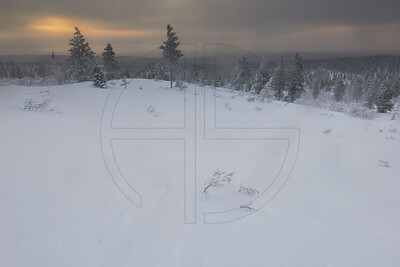 This photo was taken in the morning on Kaunispää (425 m/1'394 ft). The tunturi has a restaurant, skilifts and a toboggan run, the longest in Finland. The stormy winds let the temperature drop to around -30° Celsius/-22° Fahrenheit. Could you imagine skiing at those temperatures? The Finns are tough people. All those ”scars” in the snow were made by the strong winds and are not skiing tracks. 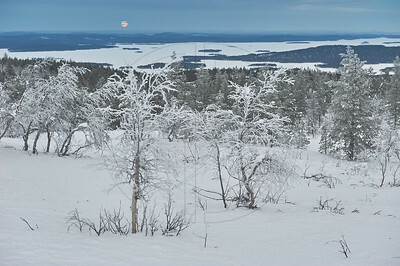 The last spot of colour on that day at the foot of Kiilopää (546 m/1'791 ft). After that the weather turned to a dull, boring grey. I had to protect my tripod with my body due to the strong winds to prevent an unsharp picture. The snow in this exposed position was hard as ice. Kiilopää (546 m/1'791 ft) is a tunturi in the Urho Kekkonen National Park. My goal was to get up there and take pictures. But the weather didn't play ball. I snowshoed to this spot and had to stop due to strong winds. I was at the foot of Kiilopää and decided to abandon my initial plan. The weather was too unforgiving. 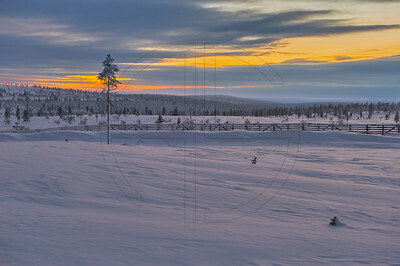 From beginning of December to beginning of January the sun north of the Arctic Circle doesn't rise at all. 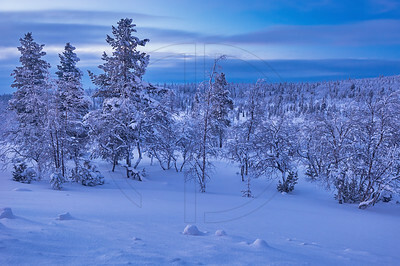 That time of year is called polar night or Kaamos, how the finnish people call it. Many might think that it's completely dark during that time of year, but that's not true. Yes, the sun is below the horizon and you'll never see it, but you can see its light reflecting in the sky. Which sometime results, if the weather is nice and you get lucky, in spectacular colours you won't see anywhere else. 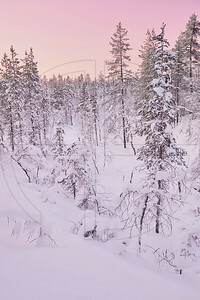 It is not for nothing that Lapland is known as the province of light and colours. 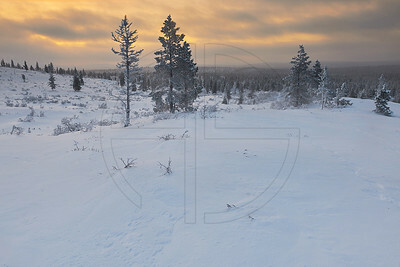 Lapland is a province not a country, expanding over three, actually four countries. Russia, Finland, Sweden and Norway. This photo was taken at noon (!). 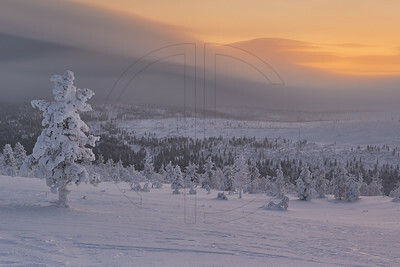 Usually, the sunlight is far too harsh to take pictures at that time of the day, not so in Lapland. The only concern was finding a nice spot to capture this magical light and colour. I couldn't find any interesting foreground to use as a point of interest, the forest was too dense and ”chaotic”. And moving through metre high snow was an other hurdle I had to take. Nevertheless, I came upon this clearing and composed the picture around it.